A teaching or meeting room ? 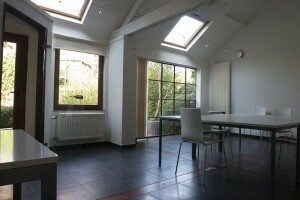 Are you looking for a teaching or meeting room to rent, for a day or for a week? 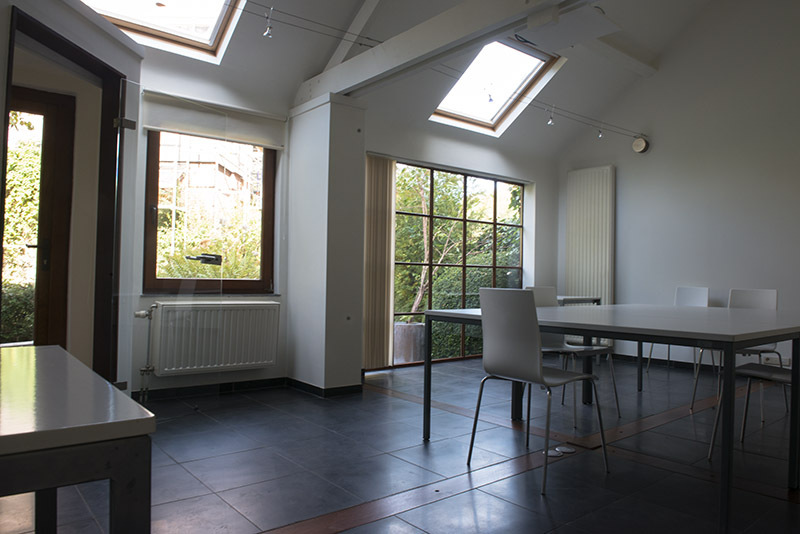 Are you looking for a teaching room in the green outskirts of Brussels, easily accessible by train, car or bike? Would you like to meet with up to 12 people in order to discuss new ideas or to introduce your services? At GROENENDAEL.pro, we offer you our « Canadian Cabin ». 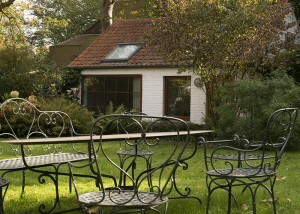 We have turned this charming maisonnette at the back or our garden into a teaching/conference room. - You are teaching The History of Photography and classes take place on Thursdays, from 6PM to 9PM, for 6 weeks. - You need to meet with SME partners for a 2-day seminar. Topic: Creativity and Innovation. - You offer ornithology training. Sessions take place every Saturday for one month. - On Sundays, you meet up with your band to play some double-bass or clarinet. At the back of the garden, The Canadian Cabin will turn your lesson, presentation or meeting into a truly enchanting moment. Only 50 meters away from the Sonian forest, GROENENDAEL.pro takes you on a journey into nature that will boost your productivity. - Stylish and bright: blue stone floor, bay window and view of the garden. - Enjoy the garden during your breaks, and the forest and its ponds are just across the road. The Canadian Cabin is available for bookings of a day, half-day or only one hour, for single or multiple sessions.